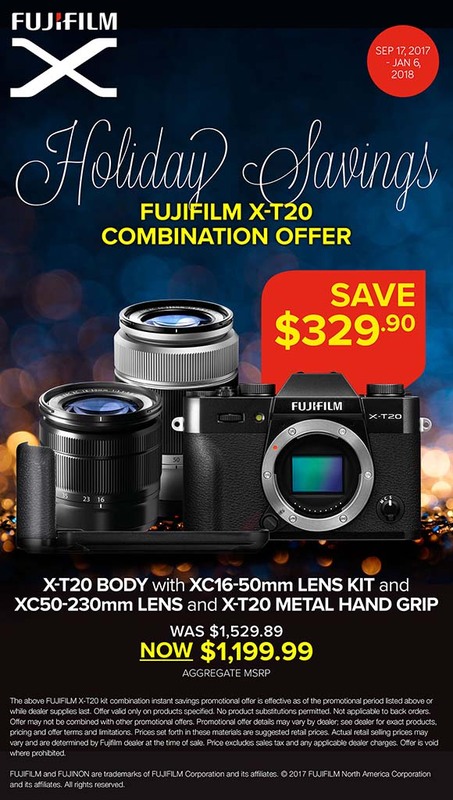 Fujifilm announced a new promotion for the holidays following the end of their old one. Sadly recent promotions seem tailored more towards new Fujifilm users than existing ones. I know a lot of readers are waiting for a lens sale, but we might have to accept one might not come. 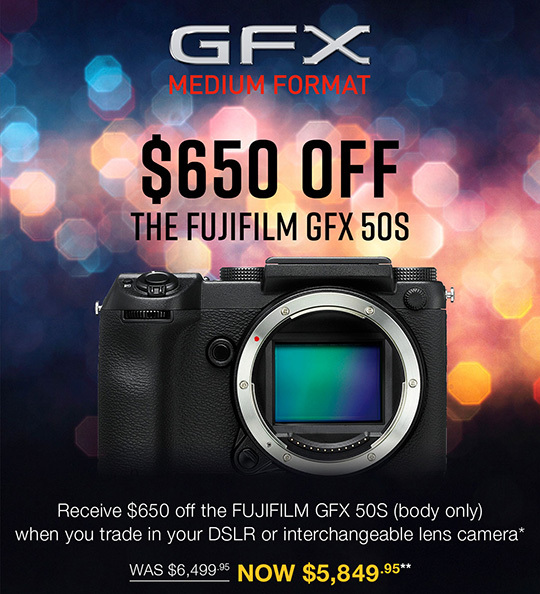 There is still a week left to save $650 on the Fujifilm GFX when you trade a qualified camera at B&H Photo or Adorama thanks to Fujifilm’s new trade-in program. Please remember this is in addition to the trade-in value of your camera. B&H Photo has some used GF lenses here. This entry was posted in Deals, Fujifilm GFX, Fujifilm GFX 50S, Fujifilm X-T20 and tagged Fuji GFX, Fuji GFX 50S, Fuji GFX50S, Fuji Rumors, Fuji X-T20, Fuji XT20, Fujifilm, Fujifilm GFX50S, Fujifilm Rumors, Fujifilm XT20, FujifilmRumors, Fujirumors, GFX, GFX 50S, GFX50S, Medium Format, Super Full Frame. Bookmark the permalink. Trackbacks are closed, but you can post a comment.